This cheat sheet will help you save your friend from various types of mental health disorders including addiction to substance use. Bala Cynwyd, Pennsylvania Life of Purpose Treatment drug and alcohol rehab facility discusses what to do when you think that a friend has a drinking problem. Philadelphia, PA / November 21, 2018 / -- Pennsylvania addiction rehab center, Life of Purpose, talks about the steps you should take when you have a friend suffering from a drinking problem or addiction to alcohol. When you are fairly certain that a friend has a drinking problem, it’s often hard to know what to do. 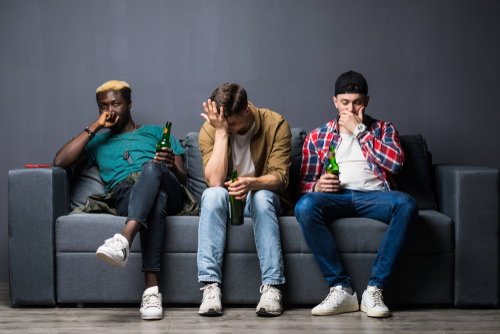 You may have been negatively impacted by someone else’s alcoholism, so you know the signs and you don’t want your friend to go down that same path. Bringing the issue up with your friend is the right thing to do, although you may be met with denial, minimization or even anger. The following will help you with what to do next. 1. Remember that you are not responsible for your friend’s reaction. While your friend may have a negative reaction to what you’ve had to say, know that you shouldn’t feel bad about the reaction. They may not show any gratitude for your concern because they are in denial about their addiction. This response is a normal reaction for an alcoholic and is often an obstacle to seeking help. There is a chance though, that you have planted a seed about your friend’s alcohol use and it will cause them to rethink their behavior. 2. Educate yourself about alcohol addiction, so you’re ready to help when the time comes. At some point, your friend may decide to seek help. The best scenario is that you are a knowledgeable resource for your friend when that happens. So, learn about addiction and alcoholism. Research how and where your friend might seek help. That way, you will be ready when your friend is. 3. Be realistic about addiction. Addiction experts agree that you can’t have the expectation that someone will stop drinking without the right treatment and support. That means that not only does your friend have to be willing, but also has to find the right help. Until your friend is ready for that, you have to keep in mind that they probably will not be able to stop on their own. 4. Find support from other friends for yourself. It’s very hard to see someone you care about suffering from addiction. The stress and worry can take a toll on you. That’s why it’s important that you find support for yourself. Ideally, you have other friends within your circle who you can talk to about your friend who is abusing alcohol. The conversations that you have with friends who know both of you can be significantly helpful. It will take some of the weight you feel off your shoulders and you will be able to share the burden with others who also care about your mutual friend who is in trouble. If you or a friend is suffering from alcohol addiction, Life of Purpose can help. We offer treatment programs in Bala Cynwyd, Pennsylvania. Please contact us today at 484-430-4201 for more information about how to get help.